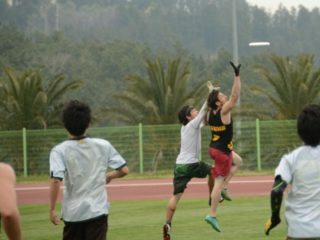 When Jeremy Ziskind’s article, 21 Influential People in Ultimate Today, was published, I honestly didn’t expect much to come from it. 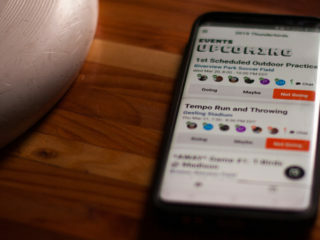 Not to say it’s an insignificant article, I just thought it had a simple purpose: to better inform the greater ultimate community of some of the significant figures in our sport. It was meant to be a crash-course; a who’s who in the ultimate world. Then the wave of comments and debate came crashing in. Given the amount of change the sport has gone through in a relatively short period, there’s been much to debate about. Only the reaction to this particular article struck me as much ado about nothing. But it has gotten to point where I feel the need to speak on the matter. You can call it backing my own if you will – though I’ve never even spoken to Jeremy – but I’ll start off this way: There is not a damn thing wrong with Jeremy’s list, right down to the title. 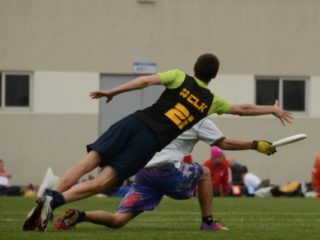 This is not “The Official and All Encompassing Reference Guide to Influential People in the World of Ultimate.” This is not “The 21 Most Influential People in Ultimate.” It isn’t even “The 21 Influential People in Ultimate Today.” The article is titled “21 Influential People in Ultimate Today” and it reflects just that. Beyond just whom the list contains or “omits,” the reaction to it arguably serves as a reflection of how the greater public approaches reading sports journalism in general (and all of Internet journalism for that matter). Many of those who found something wrong with the list were bound to find something wrong with it. They probably clicked on the link seeking something to dislike or criticize. As writers, we fully expect that, we aren’t looking for sympathy. It’s just natural for a significant portion of readers to find something to combat, something to be angry about. Even a list is not exempt. An unranked, unofficial list. Which is why I’m disappointed in myself for expecting otherwise. I won’t be making that mistake again. As a man, I will never completely understand the plight of women in the sport. So my comments on this particular subject will be brief. I’ll simply reiterate that this is simply a list. 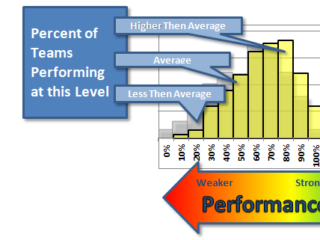 This article is not a denial of playing opportunities. Gender funding will not be allocated based on it. Is this list disproportionate? Yes. Is there still a ways to go to close the gender gap? Of course. But it changes nothing about what’s been done and what’s being done to correct that. Let’s not act as if one writer, composing one list, is going to stymie any of that progress. There are other battles to fight; does this really have to be one of them? A female writer has yet to publish anything on the matter and I implore one to do so if they feel moved to. Although I consider myself a major fan of women’s ultimate, any male writer’s opinion will never be as significant as what a female athlete has to say. I just don’t think that this article is as egregious as the reaction would indicate. For the record, I am an African-American. Yet as surprised as I was to see such a reaction to the article in terms of gender (perhaps ignorantly so) I was just as irked to see it turn to the matter of race. Not because it shouldn’t be discussed, but because I anticipate more talk than action. 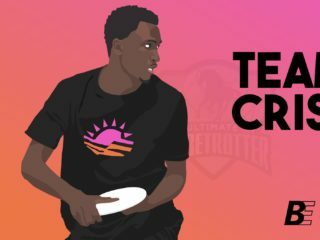 Minorities are underrepresented in ultimate. Okay? The sky is blue, discs are plastic, ultimate requires running. Thank you for pointing out what’s so very clear to everyone. But what good is speaking from your soapbox unless you’re going to do something about it? All this talk of racial inequality is futile if unless change comes from it, and I seriously doubt there will. If so, not much. You can write an op-ed piece crying injustice on my behalf, but without actually proposing anything, you’re just adding to the aimless din, and for what? So you can say you were the first to publicly bring it up? Thanks, but no thanks. Well Greg Gipson, whoever you are, why don’t you do something about it, you may be asking. Well, because I’m not up in arms about it. I started playing ultimate for my own selfish reasons. And I doubt there are many players of color who started playing to even out the demographics. It didn’t take me long to realize there would not be many players that look like me, let alone official representatives. But there’s no hidden agenda or malicious intent on the part of USA Ultimate or anyone else that I’ve experienced. (By the way, when did this become an indictment solely on USAU? Yes, they are the “governing body of ultimate,” but they alone do not wield the power for change.) That being said, if there is any injustice towards the sport’s minorities that I’m not aware of, please make me aware of it. I’m fortunate enough to have a platform to report it here at Skyd. And if you are the type to strive towards an increased representation of minorities (and women for that matter), keep on truckin’ brothers and sisters. Take solace in who you are and what you stand for. Do you take solace in your actions or for the publicity it may or may not bring? Considering all this talk of imbalance, I did feel a certain obligation to at least have published comments on record the moment this discussion turned to race. Because I’ll be damned to be an African-American writer and stand by the wayside while a white writer takes it upon himself to speak for the sport’s minorities. Of course, my opinions do not reflect the sentiments of all minorities in ultimate. But this minority feels you shouldn’t bother calling out others for turning a blind eye unless you plan on following it up with your own intentions or solutions. Minorities have proven fully capable of speaking for themselves and we don’t need help from those who simply feel like standing up for us. I have said my piece and will argue no further. You can agree with me or not, but don’t be the type to speak and do nothing. Just remember that those who genuinely want to make a change don’t need anyone to sing their praises to do so.